On Thursday 4th May 2017 you elected me to serve our community as your County Councillor. Being elected to represent the area I live in is one of the greatest honours of my life, I want to say to each and every resident ‘thank you for your support’. I will work tirelessly for you – tackling issues here in our community and being a strong voice for you at Country Hall. There is much work to do, I will first focus on ensuring that the County Council is getting the basics right and spending its money on what matters to you. I look forward to supporting many community groups and continuing to be an active part of the community I live in. I have met so many great people as we have been out campaigning and I hope to inject real passion and enthusiasm in representing our area on those issues which I know are close to your hearts. One of my promises at the election was that I would produce a quarterly newsletter to ensure I was keeping everyone up to date on what I am doing on your behalf and keeping you in touch with news from County Hall. So welcome to ‘Intouch’ the first of these newsletters – another promise kept! Caroline and I love living here and I whilst I appreciate not everyone voted for me, I will work hard and diligently for each and everyone one of you. County Councillor Andrew Snowden has praised Brindle Village Show for another fantastic year. The show, which took place on 1st September 2018 at Brindle Community Hall, attracted entrants from across the Chorley area in a range of categories covering arts, crafts, baking and growing. WATCH & SHARE: Conservative MP Maria Caulfield destroys Labour for not telling the truth. Today, Parliament will vote on measures to introduce a new eligibility criteria for free school meals and the early years pupil premium, which will mean around 50,000 more children will benefit from a free school meal by 2022. 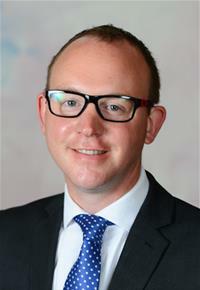 Cllr Andrew Snowden, Lead Member for Highways and Transport at Lancashire County Council, has declared a war on the potholes of Chorley as the Conservative-led County Hall adds millions of pounds to its arsenal. A road left in terrible condition over a number of years, with potholes as deep as 20cm appearing this winter, is being resurfacing as we go to print. A public consultation on proposals to shape future decisions on the court and tribunal estate was launched on 18th January, as part of the transformation of our justice system and Chorley Conservatives are urging everyone to have their say. Market Walk extension - "Labour going ahead based on high risk assumptions"
As those of you who follow Caroline and Andrew Snowden on social media will know, getting Sandy Lane resurfaced has been one of their top priorities. Jeremy Corbyn refused to rule out hiking council taxes, after Chris Williamson let slip Labour’s plans last week. Labour always raise taxes if they get into power, and it is working people who pay the price.